Public and elite attitudes in the United States and especially China are exerting a growing influence on the bilateral security relationship. The U.S.-China Security Perceptions Project analyzes the content of these attitudes through original surveys and workshops conducted in both countries. The project’s findings have implications for policymakers seeking to reduce the likelihood of future bilateral conflicts. There is a low level of strategic trust between the United States and China, which could make bilateral relations more turbulent. Despite this lack of mutual trust, only small minorities of all respondents in both countries saw the other country as an enemy. A majority of U.S. and Chinese elites and the American public as well as a plurality of the Chinese public viewed the other country as a competitor. Substantial minorities of all respondents saw the other country as a partner. Majorities of all U.S. and Chinese respondents felt their own country should play a shared leadership role in the international system. Majorities of U.S. elites thought the world would be more stable if the United States remains the leading superpower, but Chinese elites felt that a balance of power between Washington and Beijing would be more conducive to global stability. U.S. and Chinese elites prioritized strengthening the bilateral relationship, with an emphasis on improved economic cooperation. Chinese respondents—especially government elites—cited U.S. arms sales to Taiwan as a major source of tension. U.S. elites—especially retired military officers and business elites—saw alleged Chinese cyberattacks and intellectual property infringement as particularly problematic. Emphasize cooperation over competition. Capitalize on support among elites in both countries for strengthening bilateral ties. Sustained top-level leadership is needed to build public support and provide a strong foundation for managing potential crises in the relationship. Keep extremist views in perspective. Most respondents were not hawkish or adversarial toward the other country. Minority extremist perspectives, such as those often expressed in social media, should not be allowed to hijack policy. Build mutual trust. Deepening official and unofficial exchanges, engaging in a more meaningful dialogue on strategies and interests, and keeping bilateral commitments will increase trust, as will explaining the intentions underlying policies like the U.S. rebalance to Asia and China’s military expansion. Reconcile divergent views of global order. American and Chinese elites’ differing preferences for the global distribution of power could cause tension unless the two countries candidly discuss how to coexist and accommodate each other’s interests. Prevent the Taiwan issue from derailing broader cooperation. Washington should not underestimate the significance China attaches to U.S. arms sales to Taiwan. Beijing should not allow this issue to prevent it from recognizing Washington’s consistent support of the One-China policy. Both sides should understand fully the sensitivity of the Taiwan issue and avoid sending wrong signals that negatively impact bilateral relations. Establish rules on cybersecurity. Mutual understandings will reassure both sides, especially business elites, who have historically constituted a stabilizing force in U.S.-China relations. Conduct rigorous, detailed comparative surveys of Chinese and American elites and the general public on critical topics related to national security, including mutual trust and impressions of each country’s national character; the nature of American and Chinese power, both globally and in Asia; and the major specific threats, challenges, and opportunities faced by each country. Produce thorough analyses of the meaning and implications of the survey results for Chinese and American foreign and defense policies and the U.S.-China relationship.Offer recommendations for policymakers in both countries on how to address the problems and opportunities revealed by the survey results. Undertake the above activities on a regular basis and in response to specific security-related incidents occurring in the U.S.-China relationship. This project involved two phases in both the United States and China. During the first phase, public and elite opinion surveys were conducted in both countries. Elites from five distinct categories—government, business, academia, the military, and the media—were surveyed. During the second phase, workshops of foreign affairs experts with backgrounds in these same five categories were convened in Beijing and Washington to discuss the survey results and their implications for U.S.-China relations. The U.S.-China Security Perceptions Project is a unique collaborative undertaking between leading research institutions in Washington and Beijing launched in 2011. The Carnegie Endowment for International Peace in Washington and the China Strategic Culture Promotion Association (CSCPA) in Beijing coordinated this project, in collaboration with the Pew Research Center, the Research Center for Contemporary China (RCCC) at Peking University, and the Kissinger Institute on China and the United States at the Woodrow Wilson International Center for Scholars. The Pew Research Center, in consultation with the Carnegie Endowment and the Kissinger Institute, conducted the elite and public surveys in the United States. The RCCC and the CSCPA together performed the surveys in China. Funding was provided by the China-United States Exchange Foundation and the Ford Foundation as well as by the project partners. The Carnegie Endowment for International Peace is a unique global network of policy research centers in Russia, China, Europe, the Middle East, and the United States. Our mission, dating back more than a century, is to advance the cause of peace through analysis and development of fresh policy ideas and direct engagement and collaboration with decisionmakers in government, business, and civil society. Working together, our centers bring the inestimable benefit of multiple national viewpoints to bilateral, regional, and global issues. The Carnegie Asia Program in Beijing and Washington provides clear and precise analysis to policymakers on the complex economic, security, and political developments in the Asia-Pacific region. The China Strategic Culture Promotion Association is a national, nonprofit civil society group composed of experts, scholars, and social activists who are engaged in studies of international issues, the Taiwan issue, and cultural issues. The association was founded in Beijing on January 5, 2011, aiming at promoting security and stability in the Asia-Pacific region and encouraging peaceful development on both sides of the Taiwan Strait through studies, dissemination, and exchange of Chinese strategic culture. The Pew Research Center is a nonpartisan fact tank that provides information on the issues, attitudes, and trends shaping America and the world. A neutral source of data and analysis, it does not take policy positions and was not involved in developing any of the policy recommendations contained in this report. It is a subsidiary of the Pew Charitable Trusts. The center’s work is often cited by policymakers, journalists, and academics as well as advocates from across the political spectrum. Its Global Attitudes Project conducts public opinion surveys around the world on a broad array of subjects ranging from people’s assessments of their own lives to their views about the current state of the world and important issues of the day. More than 330,000 interviews in 60 countries have been conducted as part of the project. Founded in 1988, the Research Center for Contemporary China at Peking University is a self-financed, nonprofit academic institution that conducts statistically rigorous interviews and polling in China on a wide variety of subjects, including issues related to China’s foreign relations. The RCCC focuses on promoting rigorous social science scholarship in China; generating systematic social and economic data for scholars, government agencies, and the business community; integrating Chinese social science into the international scholarly community; and providing institutional assistance for Chinese and international scholars conducting research in China. The Wilson Center’s Kissinger Institute on China and the United States, inaugurated in 2008, is dedicated to promoting greater awareness of the U.S.-China relationship and its impact on both countries and the world. It does so by exploring the political, economic, historical, and cultural factors that underlie the respective behavior patterns and world views of China and the United States. The institute is nonpartisan and committed to improving American expertise about China as well as Chinese knowledge about the United States. The project leaders from each organization include, on the U.S. side, Michael D. Swaine and Rachel Esplin Odell from the Carnegie Endowment, J. Stapleton Roy from the Kissinger Institute, and James Bell and Richard Wike from Pew Research. On the Chinese side, project leaders include Luo Yuan and Liu Xiangdong from the CSCPA and Shen Mingming and Yan Jie from the RCCC. Xu Ren, formerly of the Carnegie Endowment, and Meng Tianguang (“Max”) of the RCCC also provided invaluable assistance in processing the data and preparing materials for the workshops. The authors also wish to thank Alex Taylor, Han Yuxi, Hu Ran, Wang Yuhui, and Audrye Wong of the Carnegie Endowment for their vital assistance at various stages of the project, as well as Julia Judson-Rea, Ilonka Oszvald, Abby Arganese, Jocelyn Soly, and others in the Carnegie development, publications, and communications teams. In the United States, the general public survey was conducted April 30–May 13, 2012, among 1,004 adults. The elite survey was conducted March 1–May 20, 2012, among 305 elites, including 54 government officials in the executive and legislative branches; 52 retired military officers; 74 business and trade leaders; 93 academics, think tank experts, and nongovernmental organization leaders; and 32 reporters, editors, and commentators. Although not representative of all U.S. foreign affairs experts, the elite survey findings are indicative of attitudes among high-ranking individuals responsible for matters related to national security or foreign policy. In China, the general public survey was conducted May 2–July 5, 2012, among 2,597 adults in urban areas. The elite survey was conducted May 22–August 22, 2012, among 358 elites, including 75 government officials (primarily retired officials with experience at the provincial and municipal levels); 73 scholars at military research institutions; 70 business and trade leaders; 76 scholars at nonmilitary academic research institutions; and 64 professionals working for the media. During the process of survey design and translation, extensive efforts were made to ensure that the results from the United States and China would be as comparable as possible. For the first iteration of the project, much progress was made toward this end. However, there are several important caveats that call for caution to be exercised in making certain comparisons among some of the elite categories in particular. The “military” categories in the Chinese and U.S. survey data are likely not directly comparable. The military category in the Chinese data only includes military scholars, not operational military personnel or retired officers. These military scholars very possibly do not represent the views of the broader People’s Liberation Army (PLA) on many issues. The military category in the American elite survey, by contrast, is composed of retired U.S. military officers. Future surveys will hopefully include at least retired Chinese military officers. The “government officials” categories are likewise not directly comparable. In the Chinese data, the government officials were primarily officials at the provincial and municipal levels. This survey did not include a large sampling of central government officials. Moreover, most of these officials, such as former ambassadors, were retired. Meanwhile, in the United States, the government officials were all current government officials at the national level—mostly from the executive branch, with some from the legislative branch. In future surveys, the goal is to make this category more comparable as well. The project surveys conducted in 2012 are a snapshot in time and do not necessarily represent U.S. or Chinese views at present or in the future. In some cases, both quantitative and qualitative responses could change significantly; in other cases, perhaps not. One major objective of this project is to undertake repeated surveys to determine how attitudes in both countries change over time and in response to specific events. That said, the results of these surveys convey an important baseline or starting point for deepening understanding. The first elite workshop was held in Beijing on January 10–11, 2013. The workshop was attended by more than 20 Chinese experts from different elite categories (primarily academia, the military, and the media) in addition to the project partners from Carnegie, the CSCPA, the Kissinger Institute, Pew Research, and the RCCC. The second elite workshop was held in Washington on January 31–February 1, 2013. The workshop was attended by more than 20 U.S. participants from government, military, business, media, and academic circles in addition to the project partners. At both workshops, the participants engaged in a wide-ranging discussion of the U.S. and Chinese survey results and their implications for U.S.-China security relations. The results of the surveys of elites and publics in the United States and China can be found in accompanying reports prepared by the Pew Research Center and the RCCC, respectively. These reports present the percentage of elite and general-public respondents that provided each response to each question. They also contain general statements identifying majority or minority views based on responses to specific questions. The main body of this report, prepared jointly by the Carnegie Endowment and the CSCPA with input from the Kissinger Institute, goes beyond the initial analysis of the data by presenting in detail the policy-related significance of the findings and their implications for policy in both countries. These more qualitative assessments derive in large part from the views expressed by the project partners and American and Chinese elites at the workshops that were held to discuss the survey results. In these first three sections, the most significant policy-relevant survey findings are summarized and the key observations made at the workshops are presented. A fourth and final section presents a set of possible implications and recommendations arising from the survey and workshop findings for policymakers and other elites. The project members intend to develop this undertaking into an increasingly rigorous, focused, and policy-relevant series of coordinated and collaborative survey efforts on vital security issues affecting the U.S.-China relationship. The findings will hopefully help deepen the understanding of scholars, policymakers, the media, and the general public in the United States and China about key aspects of the bilateral relationship, thereby helping to prevent miscalculations and facilitate the harmonious development of both U.S.-China relations and the world order. The first set of survey findings and workshop discussions revolved around the themes of mutual trust and cultural impressions. Attitudes toward these issues among each country’s elites and general public have important implications for the likelihood of effective U.S.-China cooperation, the ability of the bilateral relationship to endure strain and crises, and the propensity of the two sides to experience conflict. In both the United States and China, elites and the general public expressed low levels of trust in the other country (see figure 1)—below levels of trust U.S. and Chinese respondents reported feeling in most other countries. Levels of trust were slightly higher among youth and scholars in both countries. Majorities of Chinese government elites, scholars, military researchers, and media professionals characterized their attitude toward the United States as mild rather than tough (only 44 percent of Chinese business elites said the same). While a majority of the American public was more concerned about China’s economic strength (59 percent) than its military strength (28 percent), a plurality of the Chinese public (34 percent) was more concerned about U.S. military strength than U.S. economic strength (20 percent). Clear majorities of U.S. elites in all categories expressed a belief that Chinese economic growth will lead to a more democratic China. In general, very low percentages of U.S. and Chinese publics and elites viewed the other country as an enemy. Roughly equal percentages of each country’s public regarded the other country as an enemy (15 percent and 12 percent in the United States and China, respectively). However, 27 percent of Chinese government elites regarded the United States as an enemy, while only 2 percent of U.S. government elites regarded China as an enemy. Strong majorities of the U.S. public and elites in all categories viewed China as a competitor, while substantial minorities (16 percent of the U.S. public and a range of between 13 percent and 22 percent of U.S. elites, depending on the category of respondents) viewed China as a partner. A plurality of the Chinese public viewed the United States as a competitor (45 percent), and clear majorities of Chinese elites in all categories viewed the United States as a competitor (see figure 2). Three-quarters of the Chinese public either somewhat (48 percent) or very much (26 percent) agreed that Chinese culture is superior, while roughly one-half of the U.S. public responded that American culture is superior. Clear majorities of the U.S. public and elites believed that the United States takes other countries’ interests into account in foreign policy. Only minorities of U.S. respondents felt that China does the same in its foreign policy. The Chinese public and elites held nearly mirror-image views on this matter. Strong majorities believed that China takes other countries’ interests into account and that the United States does not. Strong majorities of the U.S. public considered both Chinese and Americans to be competitive and nationalistic. Majorities of the Chinese public also saw both Americans and Chinese as competitive. But while a clear majority of the Chinese public (66 percent) described Chinese as nationalistic, only 45 percent believed Americans were also nationalistic. The Chinese public’s images of Americans were more negative than the U.S. public’s images of Chinese. In addition, Americans tended to be more self-critical than Chinese. Clear majorities of the Chinese public believed Americans are (in declining percentages) aggressive, competitive, violent, arrogant, and greedy, and 50 percent said they are selfish. In contrast, only minorities of the Chinese public said Chinese are aggressive, violent, arrogant, and greedy, although 51 percent did say Chinese are selfish. Only minorities of the U.S. public viewed Chinese as (in declining percentages) aggressive, greedy, arrogant, selfish, rude, or violent. In contrast, majorities of the U.S. public regarded Americans as having all of these negative characteristics, with one exception—“only” 44 percent of the U.S. public said Americans are violent. Respondents from the general public in both countries were generally more likely to assign positive traits to their fellow citizens than to their Chinese or American counterparts. Strong majorities of the Chinese public saw themselves as hardworking, generous, honest, and tolerant, but only minorities saw Americans in those terms. However, majorities of the Chinese public saw both Chinese and Americans as inventive and modern. Clear majorities of the U.S. public viewed American people as being modern, inventive, generous, tolerant, honest, and sophisticated. In each case, lower percentages of the U.S. public ascribed those same traits to Chinese people. There was one exception to this pattern; 93 percent of the U.S. public described Chinese people as being hardworking and only 78 percent of these respondents applied this term to Americans (see figure 3). Both American and Chinese elites raised the point that trust as an abstract measurement may not be that important, particularly in light of the fact that respondents are interested in building a stronger relationship. The general public in particular may not have formal mechanisms for measuring the trustworthiness of another country, whereas a government can evaluate trustworthiness based on its counterpart’s propensity to adhere to formal or informal agreements. Even “adversaries” can trust each other if they believe the other government will follow through on its commitments. Similarly, businesspeople can measure trustworthiness based on their counterparts’ propensity to uphold business contracts or respect intellectual property. One American discussant with government experience emphasized that when official negotiators get caught up in the psychodrama of the U.S.-China relationship, including concerns about mutual trust, it becomes very difficult to do anything. But once they have unburdened themselves of these issues and can address specific, concrete issues, they are able to accomplish much more, even in the bilateral military-to-military relationship. Other elites agreed that working together on concrete practical cooperative efforts is critical to improving the bilateral relationship. Some American elites observed that although many indicators suggest relatively positive views of China among Americans, the low level of trust U.S. respondents reported having in China suggests that this positive opinion could be quite volatile and subject to swings if the relationship were to suffer a major setback. One elite noted that trust provides a baseline buffer in relationships. When a shock occurs, the larger the buffer, the better the relationship can handle it. U.S.-China relations have not experienced a major setback in a long time, so the relationship is relatively positive. But the thinness of the trust buffer could portend problems in the event of a future shock. The media tends to report on conflict and tension between countries, which likely influences the levels of trust that many elites and especially the public in a country have in another country. This dynamic may contribute to the low levels of mutual trust between U.S. and Chinese respondents, some Chinese elites noted. The fact that countries like Pakistan and African nations, which receive comparatively little news coverage in the Chinese press, were more trusted by the Chinese public may be partly because the media is not regularly reporting on tensions with those countries. Some Beijing workshop participants suggested that Chinese military and nonmilitary scholars may have expressed greater levels of trust in the United States than Chinese government officials or the general Chinese public because these scholars are more likely to have developed personal relationships with Americans. One American elite pointed out that the percentage of Chinese government elites that viewed the United States as an enemy was particularly high. This outlier could potentially suggest that the problem of strategic distrust is worse in China. However, it is also difficult to take this one data point from one moment in time as representative of government views—especially keeping in mind the caveat that the Chinese government sample was relatively limited. One Chinese participant argued that distrust of the United States among Chinese elites and the general Chinese public can be traced to specific factors. These include political and ideological factors, such as a sense that the United States wants to Westernize and divide China; the U.S. return to the Asia-Pacific, which has not been sufficiently explained; economic and commercial disputes, including U.S. antidumping duties against Chinese companies; and propaganda in the media that misleads and negatively portrays the United States (a phenomenon also seen in U.S. media coverage of China). Expounding upon the political and ideological factors, several Chinese elites speculated that the higher percentage of Chinese elites who identified the United States as an enemy compared to the percentage of U.S. elites who identified China as an enemy could be attributed to the way the United States is seen to threaten China’s domestic political system and internal security (for example, on issues such as Taiwan and Tibet). This could be particularly true of local and provincial Chinese government officials, who composed the bulk of the Chinese government elites sample, since they deal most directly with domestic and internal security concerns. Another Chinese participant suggested that in addition to differences in ideology and political systems, U.S. military deployments in areas surrounding China have also created an impression that such efforts are intended to contain China, contributing to Chinese distrust of the United States. This participant also cited as a source of distrust the way in which the United States is perceived as taking the opposite side whenever China has friction with surrounding countries. One American elite remarked upon the fact that Chinese respondents expressed less trust in other countries than American respondents did in general. Another U.S. participant speculated that this might reflect the fact that Washington has more formal allies than Beijing, and it could imply that multilateral strategies may at times be useful for the United States to adopt in its relationship with China. When discussing why young Americans expressed higher levels of trust in China than older Americans, U.S. elites focused on a variety of factors. Some suggested that younger generations in general tend to be more trusting and open and that this was probably true historically as well. In addition, older generations today have had very different life experiences, such as living through the Vietnam and Korean Wars, which could shape their views toward China. Another elite pointed to the possibility that generations that lived through the Cold War may see China as filling the role that the Soviet Union played, whereas the younger generation has no memory of the Cold War and thus does not necessarily fit China into that box. One U.S. elite felt that older Americans’ observation of the political incident of 1989 in Beijing could also influence how they viewed China. Another elite echoed this view and also pointed to the younger generation’s more limited knowledge of China’s ups and downs in general, including the Cultural Revolution and the Great Leap Forward. Some elites observed that, while American corporations used to be a stabilizing ballast in U.S.-China relations, during the past five years there has been a significant deterioration in the way U.S. business elites view China. Some American participants noted that this shift might reflect greater concerns among some U.S. businesspeople over alleged Chinese efforts to restrict U.S. market access and maneuver Chinese companies into a dominant position that will enable them to move up the value chain in direct competition with U.S. companies. Others added that it also reflects concerns over alleged cybertheft and intellectual property theft more generally. Some elites attributed the lower level of trust in China among U.S. military respondents primarily to uncertainty about China’s military, which in turn stems partly from a perceived lack of transparency in the PLA. One American elite clarified that this lack of trust has more to do with a lack of understanding and confidence in China’s policies, intentions, and future direction than it does with any real or imagined obfuscation regarding the raw capabilities of the Chinese military. Another U.S. expert suggested that it may have to do with the fact that U.S. defense analysts tend to glean information about the PLA from unofficial writings by younger Chinese authors, who often emphasize China’s rise and growing capabilities. Thus, in a sense, the level of distrust of China among U.S. military elites could be driven less by what they do not know than by what they think they do know. Some U.S. elites emphasized that it is the military’s job to prepare and plan for worst-case scenarios and that military elites would be derelict in their duties if they did not do so. This could predispose them to trust China less. However, some elites also observed that U.S. and Chinese military personnel often work well together when they do interact, implying that military-to-military contacts are particularly important to maintain—and illustrating why China’s tendency to cut such ties off whenever there is a bump in the relationship is so problematic. However, one U.S. military elite pointed out that trust of China among U.S. military elites was not actually as low as he had expected and in fact was comparable to the level of trust among U.S. media elites (only 31 percent of U.S. military elites and 31 percent of U.S. media elites reported a great deal or fair amount of trust in China). Moreover, these levels were quite positive in comparison to Chinese military scholars, 85 percent of whom reported distrusting the United States. Chinese elites emphasized that viewing another country as a “competitor” could be positive or negative. While malicious competitors might become enemies, benign competition can be win-win, particularly in the business world. Whether partners or competitors or both, China and the United States can emphasize their shared interests as a means for overcoming distrust. One American participant noted that competitors do not “contain” each other like enemies do; while America and China are competitors, the United States is not engaging in a formal containment policy toward China and does not consider China an enemy. A Chinese elite responded by emphasizing that there is a great deal of confusion in China about the concept of containment, particularly among the general public. He stressed that containment is a concept associated with enemies. Both Chinese and U.S. interlocutors agreed that the “new type of major-power relationship” advocated by Chinese President Xi Jinping could not consist of containment or competition and rivalry alone. Some Chinese elites suggested that countries can simultaneously be partners and competitors and that this may be the case in the U.S.-China relationship. Similarly, there may also be something between the categories of partner and competitor. One Chinese elite commented on what he saw as the inappropriateness of the term “adversary,” which he noted had been used by U.S. President Barack Obama during a presidential debate in fall 2012. One American participant hypothesized that the general public has less knowledge about China and thus may be more inclined to be influenced by negative media coverage about China. Meanwhile, elites have a more subtle view of the bilateral relationship and of China’s history and contemporary political culture. A Chinese elite made a similar observation about the Chinese public, noting that it tends to be more emotional, which may make it more likely to view the United States as an enemy while elites will tend to see America more objectively as a competitor. Another U.S. discussant argued that in fact the general public tends to take its cues from elites on matters of foreign policy, including China. If there is an elite consensus on an issue, then the public will coalesce behind that view. But if there is not a consensus, then the public will divide along partisan lines. Another American participant responded by suggesting that U.S. elites, including the media, need to speak of the U.S.-China relationship in more positive terms. For example, this individual suggested that elites should avoid painting the U.S. rebalance to the Asia-Pacific as containment of China. One American discussant interpreted the findings on the American public’s view of China optimistically, indicating that several survey data suggested a rosier picture than was indicated by the 2012 U.S. presidential election campaign ads about China, which were generally quite negative. First of all, Americans generally saw U.S.-China relations as positive, something that would not have been said of U.S.-Soviet relations during the Cold War. This suggests that China has not taken the place of the Soviet Union as the United States’ geopolitical enemy. This elite felt that the percentage of the public who viewed China as an enemy was surprisingly low (15 percent) and that the larger percentage who saw China as a competitor (66 percent) is not worrisome as it is not inaccurate and even allies can be competitors. Moreover, while the percentage of the public who expressed trust in China was not particularly high, the American people tend to be reluctant to express trust in general—for example, their trust in government and especially Congress is lower than their trust in China. Finally, in comparison to other challenges, Americans viewed China’s emergence as about as threatening as climate change—that is, rather low on the list of perceived challenges. One Chinese participant responded by saying that while he also felt optimistic about the results, he was concerned over the way Obama and former U.S. presidential nominee Mitt Romney had discussed China in the 2012 presidential campaign. In particular, he wondered whether or not Obama’s remarks identifying China as an adversary reflected elite views. Both American and Chinese respondents perceived their country’s culture as being superior to that of others, although the percentage of Americans who feel this way has been declining in recent years, particularly among the younger generation. Such feelings of cultural superiority can present a challenge to U.S.-China relations. In order to confront this challenge, a Chinese participant suggested that the two sides need to do more than foster cross-cultural initiatives such as student exchange programs and tourism; they also need to engage in deeper discussion and debate on what these two great civilizations (not just nations) have to offer each other and the world. One Chinese elite suggested that while China is proud of its long history, the United States is proud of its human rights and values. An American participant concurred, arguing that while Americans tend to see China as a country with a great culture, they take more pride in their own values than their culture. However, value superiority as well as cultural superiority can interfere with inter-country relationships. In fact, this U.S. elite suggested, one of the big deficiencies of American diplomacy is the tendency to moralize and preach about U.S. values and how other countries should behave—something that causes resentment in other nations. American survey respondents ascribed negative traits to themselves at a significantly higher level than Chinese did. One Chinese media elite commented that one of the things that is great about Americans is this self-awareness regarding their own shortcomings. However, this individual argued that although it was not necessarily reflected in the survey results, there has also been a growing degree of self-criticism in Chinese social media and culture in recent years, with satirical essays proliferating online that emphasize shortcomings in Chinese culture. This participant felt that such a trend suggests many Chinese recognize they are not perfect. Another Chinese participant observed that the perceived features of Chinese culture have arguably changed over time. For example, when he was young, he was taught in school that China had a long history of constant revolution and violence, in contrast to Europe, where religion had been used as an opiate to control the masses and prevent such wide-scale conflict. This supposed Chinese cultural proclivity was seen as dovetailing with the call at that time for continual proletarian revolution and struggle. In recent years, however, “harmony” has become China’s new watchword. The culture of the West—and the United States in particular—is perceived as the more aggressive and competitive, while China prefers to see its own culture as harmonious and peace-loving. Along similar lines, one Chinese elite suggested that the United States is perceived by Chinese as more aggressive because of its history of nearly continuous warfare since World War II. In response, a U.S. participant suggested that Americans’ perception of themselves as aggressive is likely shaped by the fact that the United States has been engaged in wars in Iraq and Afghanistan for the past decade, conflicts that are increasingly unpopular among Americans. Some Chinese participants suggested that a country’s national confidence in its culture shapes the role it plays in the world. One Chinese elite suggested that China lacked confidence, as evident by the extensive Chinese coverage of Mo Yan’s Nobel Prize for Literature. Another participant remarked that low levels of confidence can make a country more sensitive to external influence. Yet another Chinese elite suggested that the lower percentage of American youth (as compared to older Americans) who expressed confidence in American culture indicates that the United States’ confidence in itself and its role in the world may be declining. One Chinese elite remarked that cultural perceptions are key to analyzing decisionmaking because how people think and behave will translate into national policies. For example, pointing to cultural depictions in American movies, this participant observed that American children are more independent. In contrast, Chinese culture focuses on tradition, family, and community, which he suggested might make China relatively more inward-looking. However, this participant also observed that the two cultures’ differing characteristics can be complementary in a way that enhances cooperation between the two sides. Conversely, some Chinese elites argued that simply asking respondents if they believed their culture was superior was likely to produce artificial results. More nuanced conclusions could be drawn from questions about whether the respondents would prefer to study in or become citizens of the other country. Similarly, one elite argued that the pluralism in Chinese culture means that the implications of Chinese culture for foreign policy are highly complex. In fact, one Chinese discussant suggested that the issue is likely so complex that it may not have much of an impact on the level of cooperation countries can achieve, since there is a great difference between the operational and conceptual levels. Another Chinese elite countered this perspective, arguing that although culture is difficult to define and cultural attitudes are difficult to measure, narrow factors such as trade volume are inadequate measures for explaining the complex variables shaping bilateral relations. One American elite noted that social science research has shown that people who perceive a large degree of difference between their own social group (the “in-group”) and another social group (the “out-group”) will be more prone to favor conflictual postures toward the out-group. The questions asked of each country’s public about whether or not they perceive a range of character traits as applying to Chinese and Americans could be instructive when placed in this context. In the general public survey results, there were an average of 20.5 percentage points separating the percentage of U.S. respondents who viewed a given trait as describing Americans and the percentage of U.S. respondents who saw that trait as applying to Chinese. Meanwhile, there was on average a 26.7 percentage-point spread between the share of Chinese who ascribed a given trait to Chinese and the percentage who ascribed that same trait to Americans. Viewed through the lens of social identity theory, this gap in perceptions on both sides could make each side more likely to view the other in conflictual terms. This effect may be somewhat stronger in the Chinese case given the larger difference in perceptions among Chinese respondents. Very low percentages of the U.S. public and American elites thought the United States should be the single world leader. Similarly low shares of China’s public and elites felt that China should be the single world leader. However, strong majorities of elites from both the United States and China felt that their own country should play a shared global leadership role. While 74 percent of the U.S. public shared this attitude, only 45 percent of the Chinese public did. Sizable minorities of China’s public and elites (ranging from 12 percent among scholars and military researchers to 19 percent among the public and 21 percent among government elites) felt that China should play no leadership role at all in the world. In contrast, not a single U.S. elite respondent in any of the five categories felt the United States should play no leadership role in the world. However, 12 percent of the American public did reject a leadership role for the United States (see figure 4). Among those Americans who felt Washington should play a shared leadership role in the world, clear majorities in most categories of U.S. elites thought the United States should be the most assertive among leading nations (only a plurality of media elites held this view). However, only one-third of the U.S. public who favored a shared leadership role agreed with that notion while two-thirds said that America should be no more or less assertive than other leading nations. In partial contrast, among those Chinese who felt Beijing should play a shared leadership role in the world, a strong majority of both China’s elites and public said China should be neither more nor less assertive (qiangshi, 强势) than other leading nations. Clear majorities in every U.S. elite category believed that global stability is best served by American dominance (that is, “the U.S. remaining the leading superpower”). Not a single U.S. elite respondent favored China replacing America as the leading superpower. Nonetheless, sizeable minorities of American elites (including as high as 45 percent of business elites) favored a balance of power between the United States and China. In contrast, strong majorities of Chinese elites in all five categories favored a U.S.-China balance of power for world stability, ranging from 58 percent among scholars to 76 percent among government elites. Very few Chinese elites believed that Chinese dominance would produce more stability, ranging from only 3 percent among military scholars to 12 percent among government elites. Sizable minorities of Chinese elites in most categories felt that U.S. dominance would be more conducive to global stability. Nearly one-fourth of nonmilitary and military scholars espoused this view, but only 8 percent of government elites shared this attitude (see figure 5). Far smaller percentages of the U.S. public and American elites viewed China as the country posing the greatest overall danger to the United States than percentages of Chinese who viewed the United States as the country posing the greatest threat (weixie, 威胁) to China. Strong majorities of China’s public and elites identified the United States as the country that posed the greatest threat to China, ranging from 63 percent among the public to 81 percent among business elites. Chinese viewed Japan as the next-most threatening country after the United States, but far fewer Chinese pointed to Japan than America. However, the most recent Diaoyu (Senkaku) Islands flare-up, which occurred after the survey was conducted, may have altered this perception. America’s public and elites generally viewed China’s emergence as a world power as a far less serious threat to the well-being of the United States than other enumerated threats, such as international financial instability, Iran’s nuclear program, Islamic extremism, and North Korea’s nuclear program. While a slim majority (52 percent) of the U.S. public saw China’s emergence as a world power as a major threat, only minorities of all elite categories espoused that view. Meanwhile, the Chinese public and elites in most categories viewed the U.S. military presence in East Asia as the most significant among a similar list of enumerated threats, although in general they were less worried than their American counterparts about the other threats. The exception was Chinese nonmilitary scholars, 55 percent of whom described international financial instability as a major threat and only 46 percent of whom said the same of the U.S. military presence in East Asia. The U.S. public was more concerned about China’s economic strength than its military strength by a wide margin (59 percent versus 28 percent). College graduates were four times more likely than those who had not graduated from college to express more concern about China’s economic strength than its military strength (70 percent versus 16 percent). In contrast, the Chinese public was more concerned about U.S. military strength (34 percent) than U.S. economic strength (20 percent). Sixteen percent of the Chinese public expressed concern over both these issues, while 21 percent expressed concern over neither (see figure 6). When the surveys were taken in mid-2012, clear majorities of the U.S. public were dissatisfied with the United States’ direction and current economic situation, while most of the Chinese public expressed satisfaction with China’s current situation. Majorities in most categories of U.S. elites expressed overall approval of Obama’s foreign policy, with the exception of retired military elites. Only 38 percent of retired military elites approved of Obama’s foreign policy, while 56 percent disapproved. Similarly, most American elites felt that Obama’s China policy struck the proper balance between being too tough and not tough enough, but a plurality of retired military elites felt that it was not tough enough. Very few elites in any category saw Obama’s China policy as being too tough. The American public was split between those who felt Obama’s China policy was not tough enough (45 percent) and those who felt it was just about right (39 percent); very few (2 percent) felt that it was too tough. Notably larger percentages of U.S. elites than Chinese elites believed their country relies too much on military force. Only 10 percent of the American public and an even smaller percentage of U.S. elites said the United States relies on military might too little. Only small percentages of China’s public and elites, ranging from 3 percent of nonmilitary scholars to 16 percent of the public and of media elites, thought China relies too much on military strength (see figure 7). Chinese and American elites concurred that the term “shared leadership” did not necessarily refer to a “Group of 2” arrangement wherein China and the United States form a dual partnership of global leadership. Rather, it refers to a more multipolar distribution of power and leadership. Some Chinese elites emphasized that China has traditionally been rather self-centered and reluctant to exercise global leadership, whereas the United States has long been accustomed to being a leader in the world and is generally expected to fulfill that role. The survey results demonstrated these phenomena, with very few Chinese favoring sole Chinese leadership in the world—and a notable minority favoring sole U.S. leadership. As a specific example, one Chinese elite pointed to China’s cautious behavior as part of the Shanghai Cooperation Organization and its hesitance to impose its will on Central Asian countries, which contrasts to the way Russia and the United States interact with the region. Several Chinese elites agreed that China’s traditional reluctance to engage in shared leadership may be changing as its interests grow, increasing the incentives for Beijing to cooperate and contribute internationally—particularly on nontraditional security issues. One elite pointed to the fact that a majority of Chinese survey respondents wanted China to play a shared leadership role in the world as evidence that the Chinese people are willing to play by the rules of the current system. One American elite agreed that Chinese attitudes toward global leadership seem to be changing, recalling that during bilateral U.S.-China negotiations in 2006, Beijing balked at the use of the term leadership and did not even want to discuss the concept. Thus, the substantial proportion of Chinese survey respondents who expressed a belief that shared leadership is a good idea seemed like a major change in a short period of time. More broadly, one American elite interpreted the data to suggest that the Chinese clearly favor a change from the status quo in which the United States is dominant, while Americans—particularly elites—oppose any diminution in U.S. power and any rise of a peer competitor. However, a Chinese participant noted that there was still a sizable minority of Chinese elites who felt that China should not play any leadership role, whereas there were no American elites who felt the same about their country. One American media elite wondered if the example of U.S. fatigue after a decade of war and nation building, with all of the attendant public relations fiascoes, might have contributed to the reluctance of some Chinese to embrace a global leadership role. One discussant further emphasized that it will still be a long process to persuade China to join fully in a shared global leadership role. He pointed to sayings from former Chinese leaders Mao Zedong and Deng Xiaoping—such as Deng’s famous maxim “taoguang yanghui, 韬光养晦,” frequently understood as “to hide one’s capabilities and bide one’s time”—suggesting that even when China becomes powerful, it will not be ready to become a world leader. But another elite responded by reiterating that many Chinese want China to play more of a leadership role in the world. This elite argued that the phrase taoguang yanghui is often misunderstood; its true meaning is that China should avoid confrontation with the United States, not that China should avoid shared global leadership. One Chinese participant observed that China eschewed global leadership in the past partly because of its political ideology; Chairman Mao was critical of superpower competition. Today, political ideology continues to drive, at least in part, China’s opposition to interference from other countries in its internal affairs. Conversely, the United States believes that it has the best values and political philosophy in the world and thus feels that it should be a global leader. One Chinese elite emphasized that one of the reasons China is increasingly seeking a shared leadership role is that it wants to have more influence in making rules in the international system, a process that has been dominated by the United States in the past. Another Chinese discussant pointed to a concept called idiosyncrasy credits in the social psychology literature. This concept describes how newcomers to an institution will abide by the rules in order to build up credit and eventually seek to use that credit to be involved in shaping the rules of the system themselves. One Chinese elite observed that the term “leader” in Chinese (lingdaoren, 领导人) has a more hierarchical and exclusive connotation than it does in English, which could raise some questions among Chinese respondents. Why, for example, would the United States want China to become a leader when it is the primary world leader? In other words, the Chinese people may be more inclined to conflate hegemony with leadership. Several elites agreed that the terms “assertive” and “qiangshi (强势),” used as parallel concepts in the survey, are actually not quite equivalent. An American elite argued that assertiveness is not about power but is rather a term that contrasts with passivity. However, qiangshi does have a connotation that implies the assertion of one’s power. Furthermore, one Chinese elite noted that there are two types of balance of power. One is a peaceful balance, and the other involves confrontation, as in the Cold War. The latter is far more dangerous and unstable. It is unclear which type of balance of power respondents to this survey had in mind. One American participant observed that the majority of U.S. elites considered a unipolar system more conducive to global stability while many Chinese favored a multipolar balance of power. Another U.S. discussant speculated that these numbers among American elites may have been even more lopsided in this direction a decade ago, during the administration of then U.S. president George W. Bush, when unipolar U.S. leadership was an explicit part of the U.S. national security strategy. A Chinese discussant stressed that if Americans cling to this old mentality of favoring unipolar American power, they will be more likely to think that China’s rise will be unstable. One American academic elite stressed the need to avoid a strictly bilateral approach to these questions. Viewing global power distribution in terms of hegemony versus bipolarity is an American mindset that belies the complexity of the international system. Various actors other than the United States and China will play important roles in both U.S.-Chinese relations and the global political arena in coming years. Another U.S. elite agreed, suggesting that particular issues—for example, financial stability and climate change—will likely necessitate cooperation from several major countries and nonstate actors, and thus different structures of power may be relevant for each issue. In any event, according to this discussant, viewing the international system in terms of dominant leadership or balance of power is an overly binary approach to complex global realities. A relatively high proportion of Chinese business community elites in the survey reported seeing the United States as a threat. The workshop discussants expressed some surprise at this finding, since businesspeople are generally thought of as more internationally minded. One Chinese elite emphasized that U.S. antidumping duties imposed on Chinese companies are a specific threat that may increase their tendency to see the United States as a threat in general. A U.S. participant also speculated that this phenomena may be because Chinese business elites see the U.S. domestic market as an inhospitable investment environment and perceive the United States as hostile to Chinese business interests around the world. According to one American discussant, many U.S. government officials complain that the media portrays the U.S.-China relationship as highly conflictual, thus affecting public perceptions. In particular, many have faulted the media for painting the U.S. pivot or rebalance to Asia as an effort to “contain” Beijing. However, U.S. media elites in the survey did not themselves view China or the relationship in a particularly negative light. In response to these observations, one media elite at the workshop recounted a time when he was reporting on a train crash in India and someone said, “There are hundreds of trains every day that don’t crash; why don’t you report on those?” He used this anecdote to demonstrate that journalists report on news-making events and developments because that is the nature of news media. More specifically, this discussant argued that while the U.S. pivot is not entirely about China, it is part of the story. Another media representative emphasized that journalists have to give a range of perspectives in their reporting, even if it may not reflect their personal views. In the open-ended question about which country presented the greatest danger, one Chinese discussant suggested that “weixian (危险)” may have been a more appropriate translation of the word “danger” than “weixie (威胁),” which means “threat.” This could potentially explain why a higher percentage of Chinese felt the United States was a threat to China relative to Americans’ views of China. Both American and Chinese participants expressed surprise that only 36 percent of the Chinese general public felt that China should rely more on military strength. One Chinese elite speculated that these numbers among netizens, or citizens active in the online community, would be more like 80 or 90 percent. One American participant suggested that this may indicate that relying upon netizen opinion to measure public opinion writ large may be problematic, as the latter may not be as hawkish as the former. Another U.S. discussant suggested, however, that Chinese decisionmakers may be more influenced by the 80–90 percent among the netizens than the 36 percent among the general public. Moreover, discussants from both countries agreed that it is likely that the share of the general public that felt this way would have been greater if the survey had been conducted after the recent flare-up in tensions over the Diaoyu (Senkaku) Islands. On this same question regarding China’s reliance on military strength, one Chinese discussant pointed to the large numbers of “don’t know” responses among the general public (over 20 percent) as a complicating factor in interpreting this data and to the “don’t know” responses among elites, which ranged from 5 to 14 percent, as evidence that many elite respondents may have felt the question was too sensitive. When asked why a majority of U.S. military elites disapproved of Obama’s foreign policy, one U.S. government elite suggested that three major issues over the past four years—the wars in Iraq and Afghanistan and the “Don’t Ask, Don’t Tell” policy toward gays in the military—created significant tension between the military and the White House. These issues could have translated into greater dissatisfaction among retired officers, who are able to express their views more freely than active-duty military personnel. Another American elite with military experience suggested that the cuts that have been made to the defense budget were also a major factor that may have led retired military elites to disapprove of Obama’s foreign policy. However, this discussant did observe that the military appreciates that Obama has been more reluctant to militarily intervene in foreign countries. This relates to the question about use of military force and the fact that a majority of U.S. military elites felt that the United States relies too heavily on the use of military force in its foreign policy. Political affiliations may also account for at least some of this disapproval, as retired military elites were more likely to be Republican than elites in the other categories. The final set of survey findings and workshop discussions dealt with pressing practical issues in the bilateral U.S.-China relationship, ranging from U.S. arms sales to Taiwan to cybersecurity and intellectual property protection. Elite and public attitudes toward these specific topics can suggest directions for Washington and Beijing to pursue as they seek to strengthen cooperation and minimize conflict. Strong majorities of U.S. elites (ranging from 81 percent of government officials to 94 percent of media elites) cited building a strong relationship with China as a very important U.S. policy priority (see figure 8). Far smaller percentages cited economic and trade issues, human rights, Taiwan arms sales, and freedom for Tibet as very important. Clear majorities of the U.S. public stressed the importance of being tough with China on economic and trade issues (56 percent); building a strong relationship with China (55 percent); and promoting human rights (53 percent). Much smaller percentages of the U.S. public said the same about advocating more freedom for Tibet (36 percent) and continuing to sell arms to Taiwan (21 percent). In response to an open-ended question about policy priorities, some U.S. experts considered managing the international balance of power between the two nations to be a top priority, though they were divided on the best approach. While some said it was important to contain China by preventing a buildup of its military and countering its growing military power in Asia and the South China Sea in particular, there was also a desire to avoid conflict between the two countries by increasing military-to-military communication and learning to accommodate China’s growth as a world power. Certain economic issues were also mentioned as priorities by U.S. elites—especially protecting intellectual property, improving cybersecurity, and opening up Chinese markets to U.S. exports. Clear majorities of all Chinese elites cited building a strong relationship with the United States as a very important policy priority. This ranked higher than any other policy priority among all elite categories except government elites, who most frequently cited the need to strongly oppose U.S. arms sales to Taiwan. Slightly more than one-third of the Chinese public cited building a strong relationship with the United States as an important Chinese policy; 32 percent said it was the most important priority. A larger share (45 percent) identified opposing Taiwan arms sales as the most important priority. In response to an open-ended question about policy priorities, Chinese elites most frequently stated that mutual trust and balance should be the highest priority in U.S.-China relations, followed by the economy and mutual benefit and cooperation. Relatively few Chinese elites cited the need to increase China’s strength and counter threats as the most important policy priority vis-à-vis the United States. In response to an open-ended question about potential sources of cooperation, U.S. elites cited the economy as the primary area for collaboration—for example, fostering global economic stability and developing equally beneficial interdependence. American elites also mentioned the potential to collaborate to confront common threats (climate change, terrorism, pandemics, and hot spots on the Korean Peninsula and in the Middle East) and to engage in cultural and scientific exchanges. Similarly, Chinese elites most frequently pointed to the economy as the most helpful way to improve U.S.-China cooperation—more than collaboration in science and technology, cultural exchanges, or other issues. U.S. elites generally expressed less concern than the U.S. public about China’s emergence as a world power (see figure 9). Out of eleven potential sources of concern in U.S.-China relations included in the survey, only alleged cyberattacks from China were considered a very serious problem by at least half of the respondents in all five U.S. elite groups. Relatively small minorities of U.S. elites saw China’s alleged human rights problems, China-Taiwan tensions, or China’s exchange rate policy as a very serious problem. Clear majorities of the U.S. public regarded the U.S. debt held by China, loss of jobs to China, and the trade deficit with China as very serious problems. Among the general public, Republicans were more concerned than Democrats about these three economic issues and about cyberattacks. In contrast, U.S. elites did not express nearly as much concern over U.S. debt held by China, the trade deficit with China, or the loss of jobs to China. In only one case did more than 50 percent of any elite group view one of these issues as a very serious problem (53 percent of media elites saw U.S. debt held by China as a very serious problem). Alleged intellectual property theft, however, was viewed as a very serious problem by U.S. elites, especially businesspeople (62 percent) and retired military elites (60 percent). In response to an open-ended question about potential sources of conflict, U.S. elites most often pointed to regional territorial disputes, economic issues (especially intellectual property and currency), competition for regional dominance, and disagreements over North Korea and Iran. Retired military and business elites also often cited competition over scarce natural resources. There were no problems in the list of eight potential bilateral U.S.-China concerns that a majority of the Chinese public viewed as very serious. U.S. arms sales to Taiwan were regarded by a significant share (45 percent) of the Chinese public as a very serious problem for China, followed by U.S. hegemony (39 percent), curbing China’s rise (that is, containment—37 percent), U.S. support for Tibet (33 percent), U.S. reconnaissance along China’s coast (32 percent), the U.S. military presence in the Asia-Pacific (28 percent), China-U.S. trade (18 percent), and Internet security (last, at 17 percent). Chinese government elites cited the U.S. military presence in the Asia-Pacific as the most serious problem for China (57 percent), followed by U.S. efforts to contain China and U.S. arms sales to Taiwan. Chinese media professionals, nonmilitary scholars, and military scholars identified U.S. containment of China as the most serious problem, while business elites pointed to U.S. hegemony. In response to an open-ended question about potential sources of conflict in the relationship, Chinese elites mentioned military issues, followed by the economic realm and then Taiwan. In response to a similar closed-ended question, China’s public and elites viewed Taiwan and then the South China Sea as the most likely among a list of potential sources of conflict over the next two to three years. Ten percent of the U.S. public indicated that they had heard a lot about China-Taiwan relations; a majority (54 percent) had heard a little, and a third had heard nothing. The members of the U.S. public who had heard a lot about China-Taiwan relations were split between those who said the United States should use military force to defend Taiwan if China were to use force against the island (48 percent) and those who said the United States should not do so (43 percent). While a strong majority of American elites favored U.S. use of force if China were to attack Taiwan without Taiwan having made a unilateral declaration of independence, a strong majority opposed the use of force if Taiwan were to make such a declaration. More Chinese elites (61 percent) thought the United States would use force to intervene against a Chinese attack on Taiwan without a unilateral declaration of independence than thought the United States would do so if such a declaration were declared (46 percent). The majority of American elites surveyed prioritized building a strong U.S.-China relationship above all else. (This is also largely true of Chinese elites, though not to the same extent as American elites.) One U.S. discussant speculated that this could signify that U.S. elites feel that the United States and China are at a critical time when bilateral cooperation could be very positive and beneficial but that tensions could worsen down the road. Therefore, according to this discussant, U.S. elites could believe now is the time to take action and implement confidence-building measures to prevent the relationship from deteriorating. One elite noted, however, that this does not necessarily mean elites are optimistic about the prospects for a positive relationship. Another discussant commented that although a wide range of elite respondents favored strong relations with China, there is likely wide variation in the policy measures they see as necessary for forging that kind of relationship. Although Chinese government elites in the survey indicated that they strongly endorsed opposing U.S. arms sales to Taiwan, when they were asked to choose one policy priority for the bilateral relationship, the highest priority they identified was building a strong relationship with the United States. However, one Chinese elite observed that if one of the options on the list of policy priorities had been to increase Chinese capabilities to constrain American actions and defeat the United States if necessary, many Chinese would have likely also supported that priority. Another discussant emphasized that the Chinese government and people have a two-sided policy and perspective on the United States. While they want to build a strong relationship, they also want to deter American behavior that they deem threatening, including nearby naval reconnaissance and Taiwan arms sales. Another Chinese elite agreed, arguing that the Chinese people view America with both admiration and animosity, much as did Mao Zedong with his “American complex.” In policy terms, then, the areas of tension need to be brought under control and the areas of potential cooperation need to be prioritized. One survey question asked Chinese respondents what they saw as the most likely source of conflict between China and the United States in the next two to three years. One American elite expressed surprise that even though the question focused on such a short time horizon, most respondents still identified Taiwan, despite the positive state of cross-strait relations at present and the fact that the Kuomintang Party, which favors eventual reunification with the Chinese mainland, is in power. Some of the Chinese discussants suggested this may have been because the respondents did not pay particularly close attention to the time frame attached to the question and instead focused on general sources of conflict. They also emphasized that this question was asking not about the likelihood of such a conflict in the next few years but rather what the cause would most likely be were such a conflict to occur. In particular, the question focused on conflict between the United States and China, and the Chinese discussants at the workshop felt it highly unlikely that any of the other factors besides the Taiwan issue would bring the United States into armed conflict with China. One Chinese participant explained that this is because China has not renounced the use of force on the Taiwan issue, but it has sworn off firing the first shot in other disputes. Another Chinese elite pointed to the fact that the United States would likely be unwilling to commit military force in other potential conflicts besides Taiwan, for example, with the Philippines over disputed islands in the South China Sea. One Chinese elite emphasized that the finding shows how seriously the Chinese people take the Taiwan issue. Another Chinese discussant speculated that the percentage of Chinese identifying Taiwan as the most likely source of conflict may have been even higher had this survey been done when the pro-independence Democratic Progressive Party was in power in the early to mid-2000s. This survey was conducted in spring–summer 2012. However, some Chinese elites suggested that the results to some of the questions on specific issues may have been different if the survey had been conducted after the flare-up in tensions over the Diaoyu (Senkaku) Islands that began in September 2012. In particular, this dispute may have been seen as a more likely source of tension and conflict in the U.S.-China relationship even relative to the Taiwan issue. Chinese respondents viewed U.S. arms sales to Taiwan as a much larger issue than Americans did. The Chinese saw it as a major impediment to U.S.-China relations, whereas the Americans placed it very low on a list of bilateral priorities. When a Chinese elite queried why the United States, then, continued this policy, an American discussant responded by pointing to a variety of factors, including the pressures from the U.S. military-industrial complex and its interests in selling arms to Taiwan, a desire to prevent Congress from intervening too much in the matter, and a genuine effort to deter a military solution and maximize the possibility of a peaceful resolution. However, this U.S. elite emphasized that the level of arms sales should be related to the cross-strait situation based on objective criteria and the larger political context, particularly since the United States will not be able to maintain the cross-strait balance for the next thirty years in the way it has for the last thirty years because China will continue to build its military for other reasons besides Taiwan. Another American participant expressed his opinion that arms sales to Taiwan are not viewed as a serious threat to the relationship, even in China, unless they were to grow to a level far above what has been seen previously. Thus, Americans in particular look at this problem and see it as far from the most important issue in the relationship. American elites noted that although the general public does not strongly favor U.S. military intervention in a Taiwan conflict, this would not necessarily dictate U.S. decisionmaking in the event of a conflict. Several Chinese elites believed the questions asked of the American public about whether the United States should use military force to intervene in a conflict over Taiwan should have been framed with a hypothetical scenario of some sort (similar to that used in parallel questions posed to the elites, which posited Chinese use of force with and without a declaration of independence from Taiwan). However, American discussants responded by explaining that most of the American public was ignorant of the complexities involved in this issue and such a framing would not necessarily reveal much beyond how Americans feel about foreign military intervention in general. In fact, because of this concern, this question was only asked of those 10 percent or so U.S. respondents who indicated that they had heard “a lot” about the Taiwan issue. Some of the Chinese participants felt strongly, however, that the question should have been posed to the entire general public sample, not solely those familiar with the issue. American elites emphasized the distinction between cyberespionage and cyberattacks conducted against military and governmental targets on one hand and commercial cybertheft on the other. The former is to be expected and is conducted by the U.S. security apparatus as well, although the U.S. government is loath to acknowledge or discuss this. However, according to these elites (and U.S. government statements), the latter is supposedly not conducted by the U.S. government for a variety of reasons. In contrast, these elites believe, rightly or wrongly, that commercial cybertheft is being carried out by official Chinese government- and PLA-affiliated organs. One American elite noted that military cyberattacks and cyberespionage may become a greater irritant in the future if the U.S.-China relationship becomes more zero-sum and conflictual. For the moment, however, intellectual property theft is front and center in the minds of elites. One American elite speculated that at present it would be irrational for China not to steal American intellectual property because there is no cost to doing so. Thus, according to some U.S. participants, American elites are struggling with how to make alleged commercial cybertheft more costly for China. Whether this viewpoint is based on an accurate assessment of the actual situation or not, there is a sense of anger about alleged Chinese commercial cybertheft in large parts of the community of people who pay attention to this, even some of those sympathetic to China. Although this issue did not register as much among the American public respondents, it did register high among all five U.S. elites as a serious irritant in the relationship. The American discussants offered several possible explanations for why alleged Chinese cyberattacks and cybertheft of intellectual property rank so high among elites’ concerns. One participant observed that although there has always been intellectual property theft, cybertheft from China is now supposedly taking place on an unprecedented scale. Another discussant pointed to the sense of vulnerability that cyberattacks induce (regardless of the source of such attacks), as they present a new type of threat that elites may not feel prepared to confront. In addition, one participant noted that the threat of cyberattacks is immediate rather than latent, which elevates its importance for many elites. Furthermore, many elites have themselves been targeted by what they view as supposed cyberattacks from Chinese sources in a way that the general public has not, so it can become more of a personal issue for them. Finally, elites argue, rightly or wrongly, that American industrial superiority is not always guaranteed and that intellectual property theft is one way China could supposedly gain a competitive advantage over the United States. A Chinese elite chimed in during the discussion on cybersecurity issues to argue that China too has its own concerns related to these matters. Not only is China also victimized by cybercrimes, but many Chinese also fear that U.S. computer companies insert malicious technologies into their hardware and software. In the event of a U.S.-China conflict, Chinese fear those technologies could be activated and could wreak havoc on Chinese infrastructure. China also feels that the United States is generally far more advanced in computer and Internet technology. This Chinese elite argued that this sense of mutual victimization and vulnerability suggests the need for the two sides to sit down together and work through rules and mutual agreements on issues of cybersecurity. Chinese and American discussants thought that, in some ways, the cybersecurity issue is to Americans what the Taiwan issue is to the Chinese. American elites take the matter of cybersecurity very seriously but tend to discount the importance of Taiwan arms sales. Meanwhile, Chinese elites express major concern over U.S. arms sales to Taiwan but are less sensitive to U.S. complaints over cyberattacks. Each side feels that the other has cheated on these two issues. Thus, one Chinese elite suggested that if the two sides can make progress on both these matters, the relationship could be greatly improved. Among U.S. respondents, the top three issues for the general public—debt, jobs, and trade—were economic. Republicans were particularly concerned about these issues. One Chinese elite observed that he would have expected Democrats to be more concerned about these economic issues given their traditional skepticism toward free trade and outsourcing. American discussants responded by speculating that the timing of the survey was probably important in shaping the results. In particular, this survey was conducted in the midst of a presidential campaign wherein these issues were frequently raised, especially in the Republican primary, which may explain the partisan difference. Another U.S. discussant provided examples of how the economic relationship between the United States and China exhibits a certain duality and how it has cooled in recent years. For instance, there were expectations five to six years ago that clean energy would be a major area of cooperation between the United States and China (and there still are such expectations to some extent). But in reality, clean energy has become an area of significant tension and conflict, with antidumping battles and competitive tensions over issues such as photovoltaics and wind towers. In another example, although there was effective U.S.-Chinese cooperation through the Group of 20 in the immediate aftermath of the global financial crisis, that collaboration waned significantly. And even though the Trans-Pacific Partnership, which aims to create a unified free-trade area across the Pacific, was originally not targeted at China and is still by and large not about containing China (though China is not a negotiating party), there is now a competing process—the Regional Comprehensive Economic Partnership, which is based on a framework that includes countries in the Association of Southeast Asian Nations plus China, Japan, and South Korea but excludes the United States. While the survey data could be interpreted in many ways, what follows are some possible implications for decisionmakers and leaders in each country. Take Advantage of the Political Room for Cooperation: Among elites and the general public in both countries, there is strong majority support for strengthening U.S.-China relations. There are also relatively small proportions of the public on both sides that see the other country as an enemy. This should encourage policymakers to enhance bilateral cooperation. Move Away From Military Solutions: Arms buildups and military-oriented solutions to foreign policy challenges and bilateral conflicts were not strongly favored in either country, suggesting support among both publics and elites for decisionmakers to pursue policies designed to reduce such activities. Top Leaders Need to Set the Example: Elites in particular emphasize the need to strengthen bilateral relations. However, there are a range of specific issues that could derail positive relations if they are not given effective policy attention (most importantly, military competition, cybersecurity and intellectual property concerns, and the Taiwan issue, among other topics). Sustained top-level leadership, including at the presidential level, is needed to guide and strengthen public opinion in support of a positive U.S.-China relationship. This will help give the relationship a stronger foundation that can withstand crises or tensions on certain issues. Emphasize Cooperative Elements: The surveys clearly confirm the existence of both highly competitive and highly cooperative elements in the bilateral relationship. Some specific issues, especially in the economic realm, also contain both competitive and cooperative dynamics, likely reflecting mixed sentiments among elites and publics in both countries. This confirms the need for policymakers in the United States and China to better understand how and why specific policy issues generate competitive or cooperative behavior (or both) and to develop more effective policies designed to minimize competition and maximize cooperation. This is especially important given the possibility that the U.S.-China relationship could be entering a period of growing tension over a wide range of issues, from cybersecurity to maritime territorial disputes in East Asia. Build Mutual Trust Through Cooperation, Exchange, and Dialogue: There are relatively low levels of trust between the United States and China, even though the relationship is generally seen as positive and both countries’ publics and elites alike favor strong ties. This could be problematic, as it suggests that there is only a thin buffer to protect the relationship when crises or acute tensions arise. To some extent, it may be that some of the most important ways to build trust are through implementing specific measures of policy cooperation and keeping bilateral commitments. However, these policy measures can encounter difficulties when trust is lacking (for example, the Chinese are very suspicious of the U.S. rebalance in part because they do not trust U.S. assurances that it is not about containing China). Thus, in order to build trust as a basis for cooperation, the two sides should work to deepen official and unofficial exchanges—especially in areas relating to security issues, such as military-to-military contacts—and engage in a more meaningful, deeper dialogue about long-term strategy and interests. Explain Policy Intentions: Many Chinese elites express concern that the United States is seeking to contain China. Likewise, on the part of U.S. elites, there is concern over the uncertainty of China’s long-term intentions. Both sides need to do more to explain their intentions, particularly regarding the U.S. rebalance and China’s military growth. Reconcile Divergent Views of Global Order: In particular, there is a clear divergence between American and Chinese elites on what distribution of power will best serve the interests of both sides and ensure global peace and stability. U.S. elites tend to favor a continuation of dominant or sole U.S. leadership in the world, whereas Chinese elites favor a more multipolar system. This difference could present a serious challenge to the relationship, especially in the Western Pacific, where Beijing is increasing its economic and military capabilities at a significant rate. The two countries would benefit from a much more far-reaching and in-depth discussion of how they intend to coexist and accommodate each other’s interests in the medium to long term in this vital region. Rethink the Taiwan Issue: Elites and the public in the United States tend to underestimate the importance that the Chinese attach to the Taiwan issue (both American groups rank arms sales to Taiwan as a low priority while the Chinese attach strong importance to opposing these arms sales). At the same time, the Chinese do not sufficiently recognize the balance present in U.S. policy when they focus so heavily on U.S. arms sales to Taiwan and apparently undervalue U.S. support for the One-China policy. This leads them to allow the issue to damage the overall U.S.-China relationship and military-to-military relations in particular. Both sides should rethink their understanding of this issue to enhance mutual trust. Do Not Treat the Taiwan Issue as an Insurmountable Obstacle: At the same time, the data suggest that U.S. arms sales to Taiwan need not be an automatic and insurmountable impediment to the relationship. On one hand, U.S. elites and the public do not strongly prioritize this issue. On the other, while the Chinese do emphasize the need to oppose U.S. arms sales to Taiwan, they place an even higher priority on building strong relations with America. These data suggest that there may be room for the two sides to work together to reach an understanding on the Taiwan issue—or at least that it does not have to derail the broader relationship. Establish Bilateral Rules on Cybersecurity: Elite opinion in the United States suggests that supposed Chinese intellectual property theft and cyberattacks are seen as the greatest sources of conflict and tension in the bilateral relationship at present. These views are particularly acute among business elites, who have historically been a stabilizing constituency in the U.S.-China relationship. Thus, these issues urgently need to be addressed by the two governments, with mutual rules and procedures to ensure better protections for commercial interests on both sides. Media Should Emphasize the Positive: Representatives from the media in each country do not necessarily espouse more negative views toward the other country than other elite groups or the public. In fact, in some cases, their attitudes are more positive. This suggests that there may be room for them to do more positive reporting on the U.S.-China relationship, particularly since elites who might provide commentary and expert opinion tend to favor stronger bilateral relations. The media should reach out to experts who will provide positive commentary, not only those who are inflammatory. Likewise, governmental, business, and scholarly elites should reach out to the media to help guide the conversation in a positive direction. Keep Social Media Opinion in Perspective: The Internet and social media tend to amplify and reward extremist viewpoints. Much of the data in this survey reveal a general public in both countries that is less extreme, less hawkish, and less adversarial than the tone of social media (or the media in general) might suggest. Chinese and American policymakers should keep this in mind and not let extremist views expressed online or in the broader media hijack the relationship or force their hand on policy decisions. Engage in Cultural Exchanges: There is an appreciation in both countries of various positive characteristics associated with the other country’s people. This suggests that there may be room for more cultural exchange and that people on both sides may be open to learning from each other’s culture. 1 For the report on U.S. survey results, see “U.S. Public, Experts Di¬ffer on China Policies,” Pew Research Center, September 18, 2012, www.pewglobal.org/2012/09/18/u-s-public-experts-differ-on-china-policies. 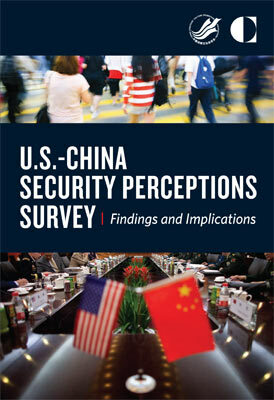 For the report on Chinese survey results, see “Report on 2012 China-U.S. Security Perceptions Project,” Research Center for Contemporary China, December 2012, available at www.for-peace.org.cn. 2 These workshops took place in early 2013, prior to the revelations by former U.S. National Security Agency contractor Edward Snowden about the agency’s cyberespionage activities. As those activities have come to light, many Chinese have expressed their feeling that the revelations blunted the force of U.S. complaints about China in this area. 3 The Pew Research Center does not take policy positions and was not involved in developing any of the policy recommendations contained in this report. -- arms sales to Taiwan-- This article has given a nice critical assessment of the relationship between the two powers of the time. But the question remains to be asked is as to why USA has been pumping so much arms into Taiwan -- after all Taiwan is not Israel!